At Lake Thomas Cakes we provide a distinctly bespoke service. Over the years our experience has shown that no two cakes are alike. We will create and decorate your cake for your very special occasion to your precise requirements… any size, any shape, any style, and any decoration. Vanilla sponge with choice of jam and or buttercream. Lemon sponge with butter icing or Lemon Curd. Carrot cake with optional flavoured butter icing. Chocolate cake with optional flavoured buttercream or Morello cherry jam. However, please do bear in mind that the above descriptions are merely a guide and we will typically consult with you on exactly what you need. In view of the very bespoke service we offer it would be unreasonable to quote prices here and now. As an indication, our 6” cakes start from £45 depending on your choice of cake and decoration. 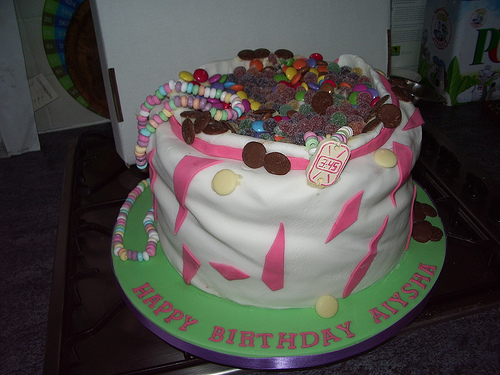 3D novelty cakes start from £135. Wedding cakes are priced according to the number of tiers and the amount of portions. Please do give us a call on 020 8942 8782 or 07774 483 219 or e-mail us at sales@ltcakes.co.uk with your requirements and we will get back to you as soon as possible with a quoted price.